HOUSTON, TX--(Marketwire - Oct 30, 2012) - Dr. James F. Boynton, a board certified plastic surgeon in Houston, presents patients with a variety of non-surgical options as well. He says traditional liposuction is not the ideal procedure for every patient, and Liposonix® provides an alternative. Dr. Boynton is the first plastic surgeon in Houston to offer patients the benefits of Liposonix®. The ideal candidate for Liposonix®, according to Dr. Boynton, is a patient who has a few "trouble spots" or wants to drop down a pant size. He stresses the procedure is not intended for patients who have dramatic weight loss goals. Dr. Boynton believes Liposonix® is perfect for patients seeking to contour specific parts of the body with a procedure that is cost-effective. To be a candidate for Liposonix®, he adds that a patient needs to have an inch of fat in the area that will be targeted. Liposonix® is performed in the Boynton Plastic Surgery office. The system utilizes high-intensity, focused ultrasound to target a 46 mm x 46 mm treatment site at a depth about a 1/2 inch below the skin's surface, which is the depth where adipose (fat) tissue resides. During the treatment session, the ultrasound destroys the fat cells in each treatment site, and the body then eliminates these cells over about 8 - 12 weeks through its normal waste disposal process. The Houston plastic surgeon notes there is relatively little "down time" following a Liposonix® treatment. Minor bruising and tenderness may arise in the treatment area, but he says there is no need for pain medication. Patients are also not limited by the physical restrictions that accompany traditional liposuction, which often require patients to restrict activity for two weeks while treating pain and discomfort with prescribed medication. "The results achieved from Liposonix® have been the most impressive that I've seen for any non-surgical treatment and body contouring," says Dr. Boynton. "Liposonix® also allows me to tailor the treatment for each individual and target specific areas of stubborn fat in ways that cannot be done with any other technology. For most patients, Liposonix® provides fat reduction to targeted areas in one session, with little to no discomfort or downtime." Most patients who undergo surgical liposuction will receive customized body contouring from a plastic surgeon to achieve a complete body "makeover." Recognizing that each patient has different goals, different schedules, different family situations, and different financial restraints, Dr. Boynton discusses with each patient their options during the consultation process. By offering surgical and non-surgical options at his Houston plastic surgery practice, Dr. Boynton can customize a plan that works for each patient. He believes the key to success is understanding the results each patient is looking for -- and through patient education, merging these expectations with their financial and personal situations to give them the best results possible. 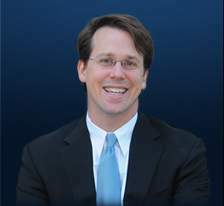 Dr. James Boynton, a board-certified plastic surgeon, earned his credentials at the University of Texas Medical School at Houston and at Duke University. He has been voted as a "Super Doctors Rising Star" by Texas Super Doctors and a "Regional Top Doctor" in Aesthetic Plastic Surgery by Castle Connolly. The Consumers' Research Council of America has also named Dr. Boynton as one of "America's Top Plastic Surgeons," and the International Association of Plastic Surgeons (IAPS) selected him as a "Leading Physician of the World" and "Top Plastic Surgeon in Texas." Dr. Boynton was also selected as a "Top Doc" in Plastic Surgery by U.S. News & World Report in 2012. To contact Boynton Plastic Surgery, visit the practice's website at boyntonplasticsurgery.com or call 713-800-6060. The practice's office is located at 1900 St. James Place, Suite 200, Houston, TX 77056. The practice's Facebook page can be found at facebook.com/DrBoynton.